The Rotate effect rotates a sprite. This effect allows you to configure the source angle used to rotate the sprite. 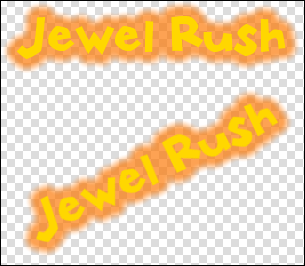 An example of a Rotate effect where the sprite has been rotated 45 degrees anti-clockwise.